Monaco - I Say Ding Dong Shop - Buy Stickers, Decals & Unique Automobilia. Casino De Monte-Carlo Monaco Sponsors Sticker. 12". Le Casino De Monte-Carlo Black & White Monaco Sponsors Sticker. 12". 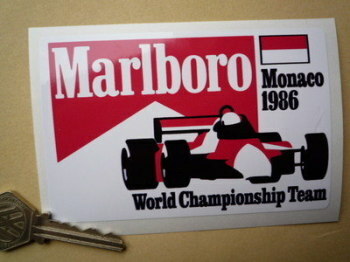 Marlboro Monaco 1986 World Championship Team Sticker. 5". Monaco Circuit Oblong Window or Body Sticker. 3.5". 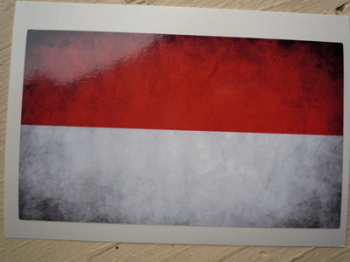 Monaco Dirty & Faded Style Flag Sticker. 4". Monaco Dirty & Faded Style Flag Stickers. 2" Pair. Monaco Grand Prix 1950's Style Circuit Sticker. 90mm. 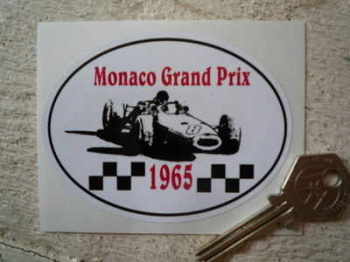 Monaco Grand Prix 1965 Circuit Sticker. 3.5". Rallye Monte-Carlo, Automobile Club De Monaco Sticker. 5".